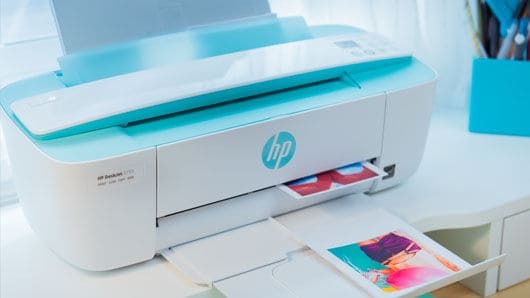 HP today unveiled world’s smallest All-in-One inkjet printers for consumers who are always connected. Aligning with the printing needs of India’s digital active audiences, the HP DeskJet Ink Advantage 3700 All-in-One printers combine robust print, scan and copy capabilities and offer easy printing from Facebook, Instagram and more. Scoring high on compactness and aesthetics, the printers are designed to match the lifestyle needs of the millennials, students and parents. The printers are half the size of other inkjet all-in-one printers in its class, with robust print, scan and copy capabilities at the price of INR 7,176. Recently named one of TIME Magazine’s 50 most influential gadget of all time, the redesigned HP DeskJet Ink Advantage 3700 All-in-One printers offer easy printing from a smartphone or tablet. The new printers don’t just optimize space, they energize space with a variety of vivid and lively hues that include electric blue, sea grass green and cardinal red making the printers a perfect lifestyle fit. This printer can print 480 pages on a single cartridge and the cartridges costs Rs 550. The printer is capable of printing seven pages per minute. Setting up and printing directly from a mobile device is easy with HP All-in-One Remote mobile application. The free app provides users with key features including printing, copying and scanning wirelessly from most smartphones and tablets including Apple, Android and Windows device. Using WI-FI Direct, consumers can immediately begin printing from their mobile devices and access their printer without a network. The new printer will be available in the market from September 26, 2016 onwards.